About - Get Your SurfPig On! SurfPig has a love of the Beach and BBQ. SurfPig's first trip to the beach was at 2 months old and was raised on Eastern NC BBQ and Pig Pickin’s. 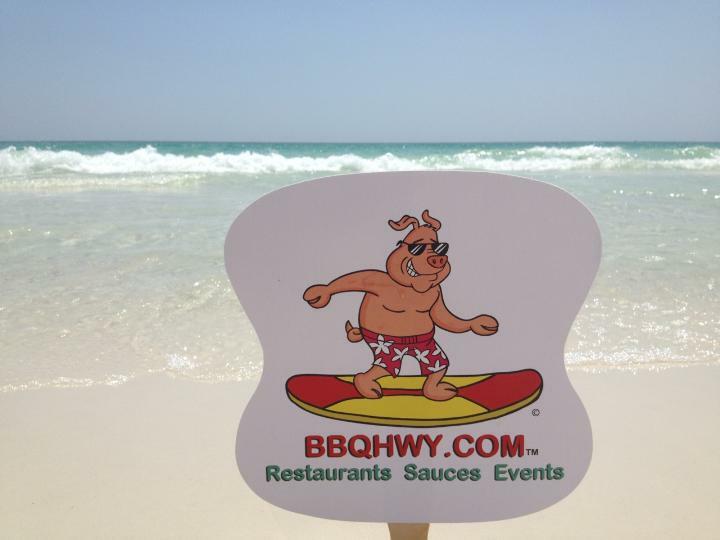 SurfPig loves the coast and enjoying good BBQ where ever it can be found. SurfPig keeps his list of over 3,000 BBQ Joints on BBQHWY.com. Get your SurfPig On with all the hottest SurfPig T-shirts, the coolest Koozies and best Dry Rub!